The new Premier League season kicked off with some familiar stories. Manchester City claimed a dramatic late victory, Chelsea enjoyed a comfortable win, Arsenal looked frustratingly wasteful and Liverpool suffered a humiliating defeat. Champions Manchester City missed a penalty early in the first half against Southampton, before Carlos Tevez opened the scoring. They made hard work of the second half. Substitutes Ricky Lambert and Steven Davis gave Southampton a shock lead, before Edin Dzeko and Samir Nasri restored City’s advantage. It wasn’t quite as dramatic as the last match of last season, but it wasn’t comfortable viewing for City’s fans. At least Tevez seems to have reconciled his differences with English football now that City are champions. 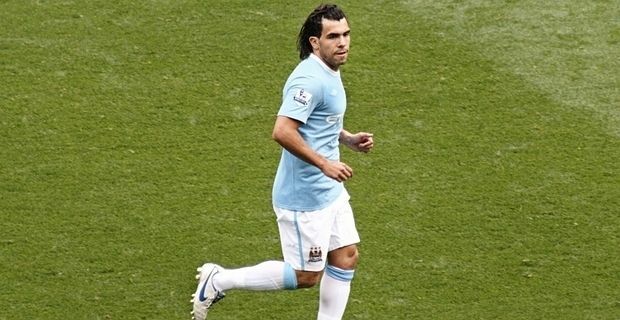 If Sergio Aguero’s knee injury is serious, Tevez will be vital in the early part of the season. Chelsea overcame Wigan with two goals in the first seven minutes before coasting for the remainder of the match. Roberto Di Matteo’s achievement as the caretaker manager who won the Champions League has granted him plenty of goodwill, and his side looked worthy of being regarded as potential title challengers. Brendan Rodgers had an insight into the scale of the task he faces with Liverpool. They lost 3-0 away to West Bromwich Albion, with Daniel Agger sent off early in the second-half. Rodgers needs to find a winning formula quickly, or face the hostility of the impatient Liverpool supporters. Without Robin Van Persie, Arsenal looked short of attacking ideas against Sunderland. Manager Arsene Wenger’s mood will not have been improved by the departure of key midfielder Alex Song, who joined Barcelona for £15 million.